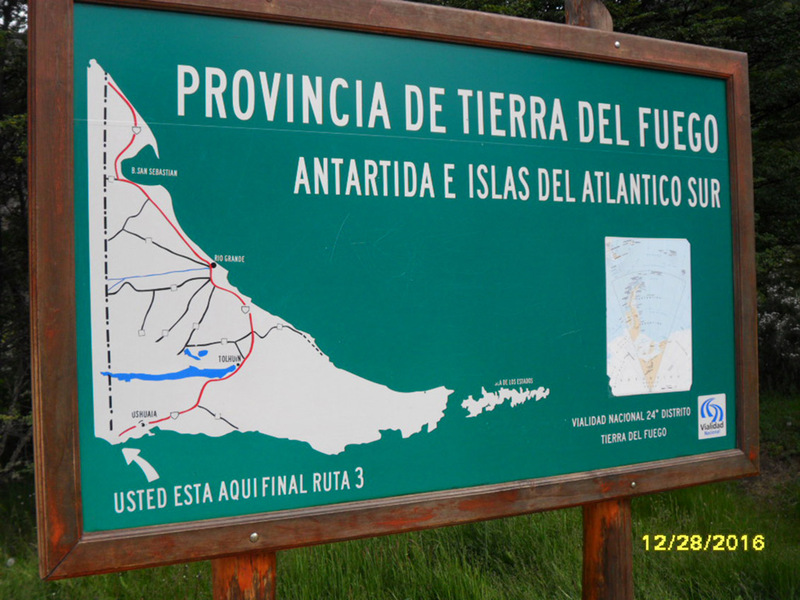 Great Race Director of Competition John Classen and his lovely wife Rachel have returned from the southern tip of South America where they visited the end of the Pan American Highway in Argentine Tierra del Fuego. 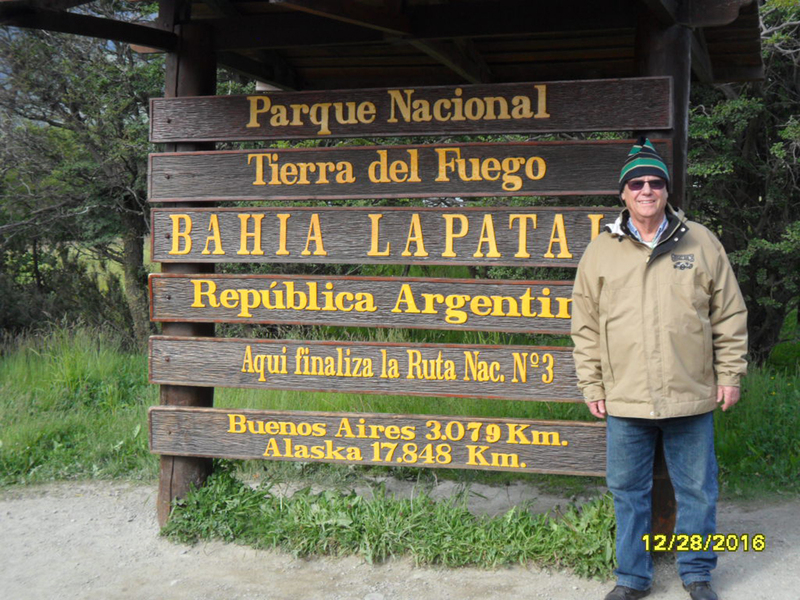 The highway runs more than 17,000 kilometers from there to Alaska. Notice Classen is wearing his heavy Great Race jacket even though it is summer there. He reports that it was close to 32 degrees even though it is summer there. An equivalent location in the Northern Hemisphere is southern Alaska. Perhaps John is working on the route for Great Race 2018? You should have turned left at Albuquerque then you wouldn’t have gotten so lost! I guess we now know the 2018 route.